From the 605 Freeway exit Whittier Blvd East. Drive about 1.25 miles East and turn Left on Philadelphia Street. 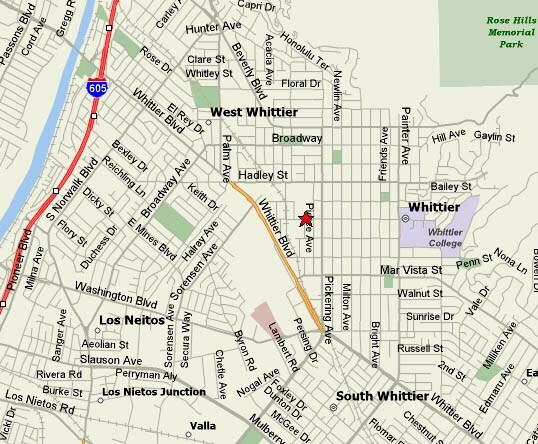 Whittier High School is on the left side of the street. The entrance is on Whittier Avenue at the Library - "D" Bldg. For driving directions to WHS using Mapquest - Click here, enter the starting address and click the "Get Directions" button under the "Ending Address". For an area map view of WHS using Mapquest - Click here.